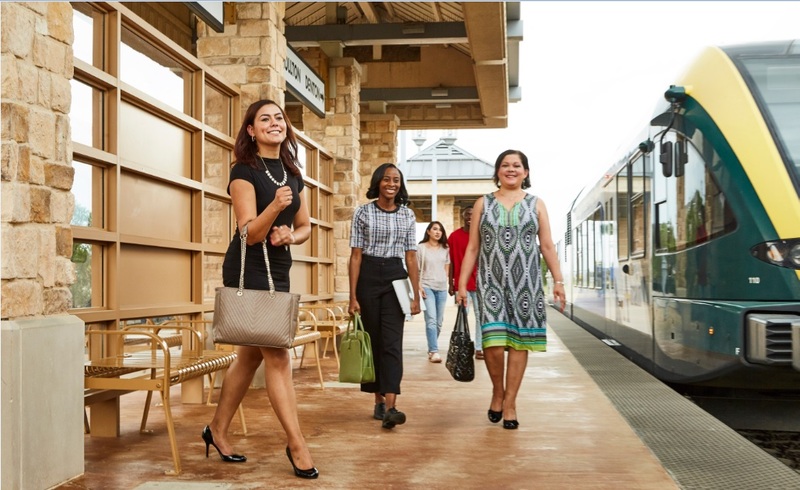 We’ve recently released a new study in partnership with the Antero Group, an innovative and nationally recognized planning and engineering consulting firm, which leverages local and national statistical sources and conducted case studies of local transit-oriented development that highlights the business case for transit in Denton County. Since opening in 2011, our A-train commuter rail service has attracted new professionals and businesses, spurred new market investment, and expanded the countywide tax base while providing an alternative form of transportation to address air quality and cost-of-living. In addition to other countywide strengths, including a high quality of life, skilled workforce and a welcoming environment to new land development, the A-train has helped to build the local economy. In addition to benefits, the article features key information on DCTA’s rider base and how the agency plans to address train ridership. Check out the story for yourself and drop a comment below on your thoughts on the article and how the A-train has benefited Denton County! In all the years the A train has been running, I’ve never seen it more than 10% full. Is it paying for itself or does it require subsidies to survive?